I was looking for something sappy to watch on Valentine’s Night, and settled on Cheerful Weather for the Wedding (2012), after its title and IMDb categorisation lulled me into expecting a jolly period rom-com… only to discover that it’s actually quite avowedly anti-romantic, with all of its characters eventually settling for passable partners they’re “fond” of, but not really in love with. Even the title turns out to be ironic… a white lie the bride’s mother uses, while blithely misrepresenting the day’s events to an absent acquaintance over the telephone. Frankly, I found the central, star-crossed couple’s dilemma deeply un-affecting, with the story of their previous dalliance and drifting-apart told through brief, disorienting flashbacks… while they barely even interacted in the present, leaving a gaping hole at the centre of the film where its heart should have been (broken, or otherwise). 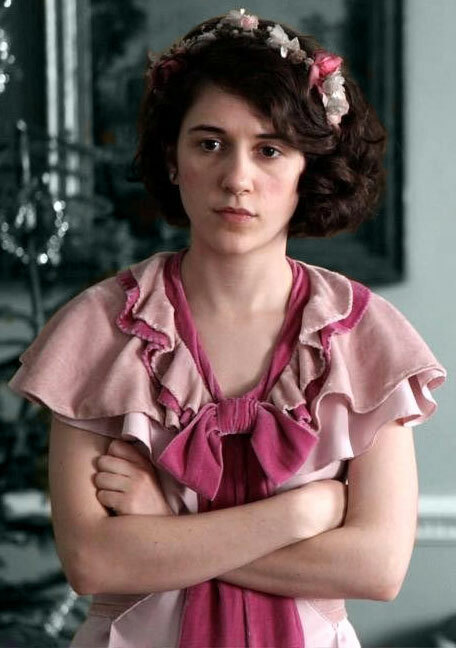 That said, there was one bright spot that made the whole evening worthwhile… and that, unsurprisingly, was Ellie Kendrick‘s supporting turn as the pragmatic bride’s more whimsical, poetry-loving little sister ‘Kitty’. It’s the perfect casting, with Kendrick lending her innate adorability and intelligence to the only character in the entire ensemble who seems to have her head screwed-on, and her heart in the right place! She gets some wonderfully funny dialogue to deliver, as well as a little tearful distress to play… and even an off-screen hook-up with a handsome chauffeur to rumple her unflattering bridesmaid’s dress! Of course, I’m hopelessly biased, but I can’t help thinking that the film was centred around entirely the wrong sister, as it would have been much more fun to follow Kitty’s wide-eyed adventures, rather than ‘Dolly’s dreary death-march down the aisle… but thankfully she still appears frequently enough to make this a must-watch for Kendrick’s fans, and a must-buy for me! 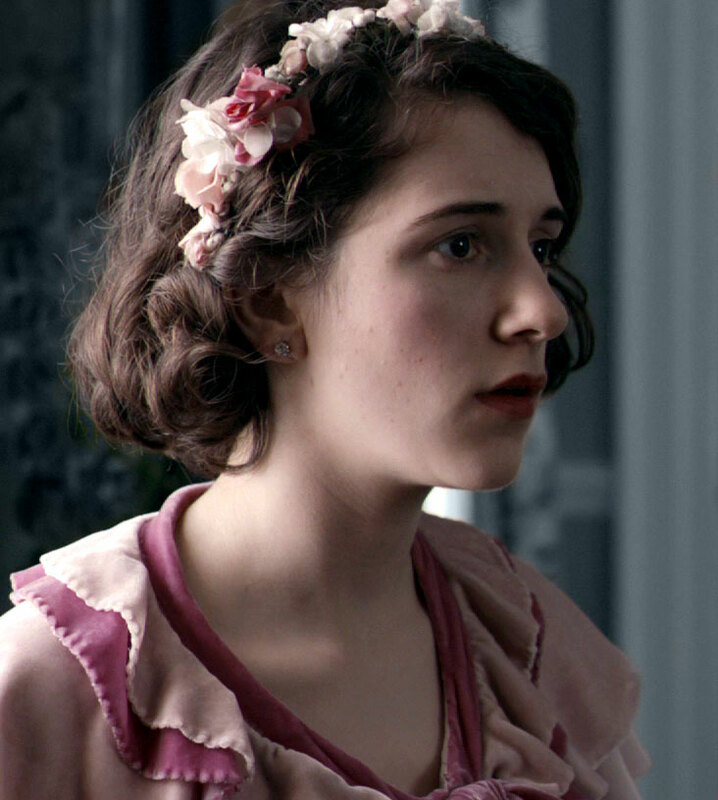 Fun fact: Dolly was played by Felicity Jones, making this the second time that she and Kendrick have played siblings (the first being The Diary of Anne Frank). Oh, I should also say that I thought Elizabeth McGovern gave a great performance as their mother, ‘Mrs. Thatcham’… somehow making the overbearing and oblivious matriarch far more sympathetic than she had any right to be! This entry was posted in Rants about Films and tagged Cheerful Weather for the Wedding, Elizabeth McGovern, Ellie Kendrick, Felicity Jones, Kitty Thatcham. Bookmark the permalink.